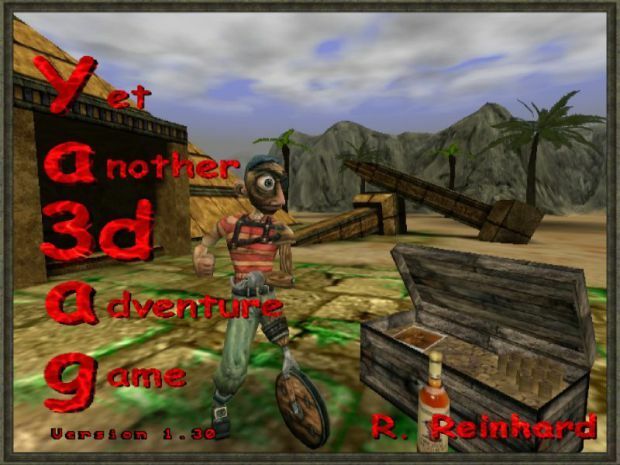 This release of Ya3dag features three exhibition levels (items, particle effects, physics simulation), reworked map particle emitters and the Bulled physics engine. Summary of changes for the update of Ya3dag V 1.30. Inventory items. All you can carry. Everything that you can use. Exhibition for level/map designers and developers. This compiler is availible for free from Microsoft. is not included in the 'Visual C++ 2008 Express Edition'. This shaders are for the 'Egyptian textures' package from Sock. * New shader keywords supported from Ya3dag. if the texture emits light. The amout of light this surface emit's. * reworked map particle emitters. * Added more settings to modify appearance. * WGGameBegin level (Golmbach city). The startup point in the level has a second exit now. The examination can be bypassed. pronounce what? pronounce Ya3dag? Say yathreedag. Go to the pub in Golmbach City, buy a bottle of rum and drink it (use the bottle of rum from the inventory). After that you can pronounce it.